The port of Yangshan in Shanghai China has suffered massive delays due to bad weather conditions and excessive overbooking. According to author Bruce Gain in his post for American Shipper titled Shanghai’s Yangshan Port Suffers Massive Delays, “In addition to the more immediate impacts of the fog, rampant overbooking by carriers in the wake of newly restructured vessel sharing alliances is at the root of the massive delays at the port.” Gain specifies that even though carriers are at booking capacity, they continue to accept reservations, leaving many Chinese exporters stranded at ports, unable to board vessels. Additionally, recent shortage in container capacity for the eastbound Europe-Asia trade prompted the European Shippers Council (ESC) to issue a warning that there would be trouble ahead. “Starting April 1, the number of large-scale carrier alliances was reduced from four to three – “THE” Alliance, the OCEAN Alliance and the 2M Alliance – and members of the east-west VSAs are still in the process of rationalizing their service networks in an effort to better bring them in line with demand” (Gain). Along with the poor weather and reckless overbooking, this shortage has seriously contributed to the port clogging in Shanghai. Information about when the port’s congestion mess will be resolved remains unclear. According to Gain, poor communication between port officials is only exacerbating the problem. Port operators are intentionally avoiding direct communication on the issue because they are not yet sure what procedures have to be addressed. Until this excessive traffic is rehabilitated, “Europe-to-Asia shippers are faced with being unable to meet their contractual obligations or to offer boarding slots before May” (Gain). 2M Alliance members are no longer accepting orders and container booking prices have risen almost 45 percent in trade. “‘This translates into missed sales, stock failure and significant extra costs as some exporters are trying to circumvent these obstacles by using other modes,’ the ESC said” (Gain). Unfortunately, a resolution is not in sight. As the ramifications of Yangshan’s port congestion continue to expand into other elements of the supply chain, patience is the only countermeasure. View the article: Gain, B. (17 April, 2017). 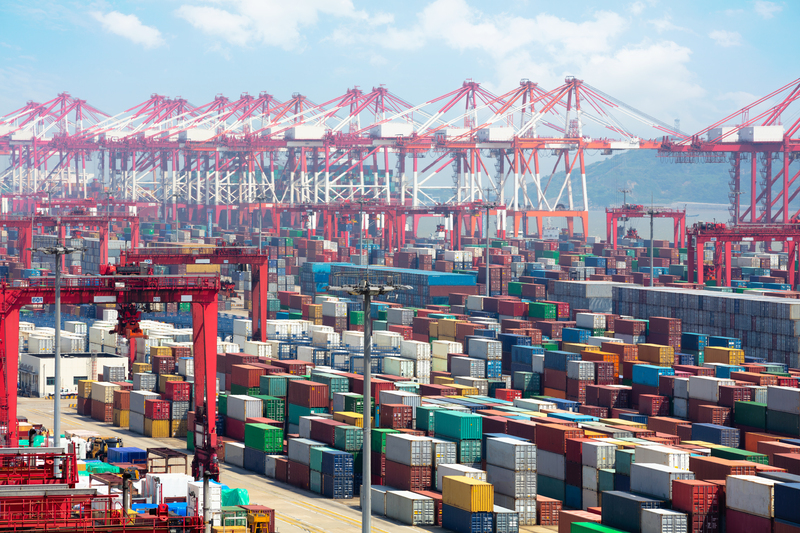 Shanghai’s Yangshan port suffers massive delays. American Shipper.